Recently the news has been reporting a lot about search warrants and their implication in a high profile criminal investigation. See here, here and here. A warrant is historically a method of searching and seizing property or items believed to be evidence of criminal activity. In colonial days, the king would issue warrants that would last the life of the king, be written generally and allow virtually anyone or place to be searched for contraband. The colonies decried this abuse and when they enacted the Bill of Rights ensured to put a stop to it. There is a lot to say about warrants and their history that is unknown to the general public. For instance, most people don’t know that this prohibition against warrantless searches did not apply to the states until Mapp v. Ohio, 367 U.S. 643 (1969), or that the remedy for violating this prohibition was originally civil, rather than excluding the evidence under Weeks v. the United States, 232 U.S. 383 (1914). There are many exceptions to this requirement, like the good faith exception, automobile exception, the search incident to arrest doctrine, exigent circumstances, the inventory exception, etc. Legal scholars have warned that the exceptions have swallowed the rule against warrantless searches and seizures. There is probably no richer area of law than Fourth Amendment jurisprudence. Although the recent execution of the search warrant on Paul Manafort’s home was unexpected, nothing being reported would amount to a gross abuse of power. Mr. Manafort’s attorney protested the execution of the search warrant as an “extraordinary invasion of privacy” but that really doesn’t have any legal significance in this context. All searches and seizures are an invasion of privacy to one extent or another. Nor is there any need to “exhaustless intrusive methods” prior to seeking and executing a search warrant. Nevada, like all states, has to follow the United States Constitution and its minimum standards for searching and seizing property. It has also had its own version of the Fourth Amendment in the Nevada Constitution in Article 1, section 18 which is almost word for word the same as the Fourth Amendment. Section 179.045 of the Nevada Revised Statutes provides the procedure for obtaining a warrant. A warrant can be obtained by a written application to the judge or a telephonic application. The application has to set forth sufficient facts to establish probable cause, which isn’t a requirement for a literal probability, but a requirement that would cause a reasonable person to believe a crime was afoot. 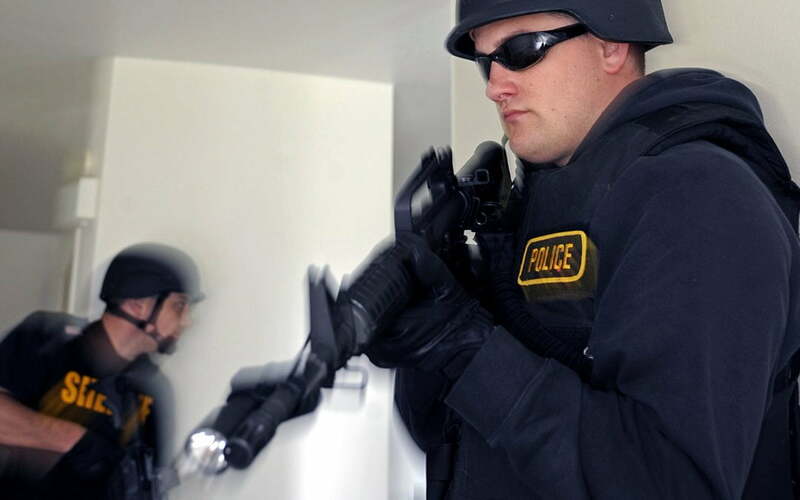 There are many ways in which a warrant can be challenged. Although the police can rely on a warrant they secured in good faith, even if it lacks probable cause, in fact, they cannot claim good faith if they secured the warrant by deceiving the judge or misrepresenting the facts to the judge. Have you been served with a warrant? Contact the experienced criminal defense attorneys at Mueller Hinds & Associates for a free consultation.